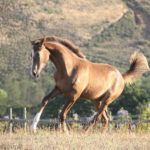 Wap’s Time to Shine, one of the very first foals conceived in South Africa via artificial insemination from the newly imported stallion, Totem Fantastic Wap. 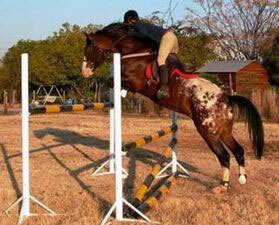 She has passed her ridden performance testing with two European judges at the age of 3.5 years. 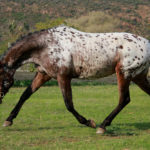 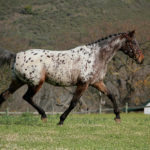 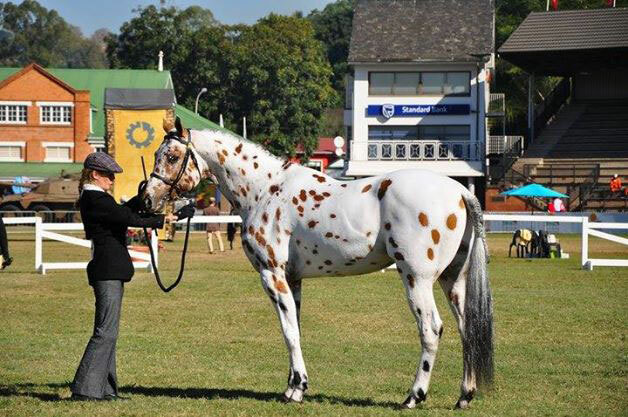 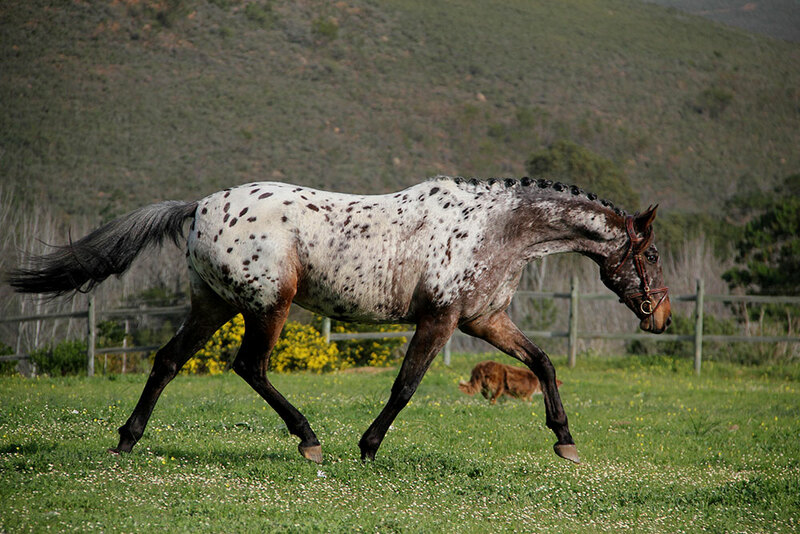 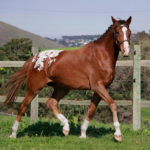 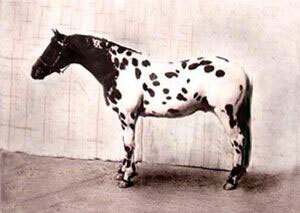 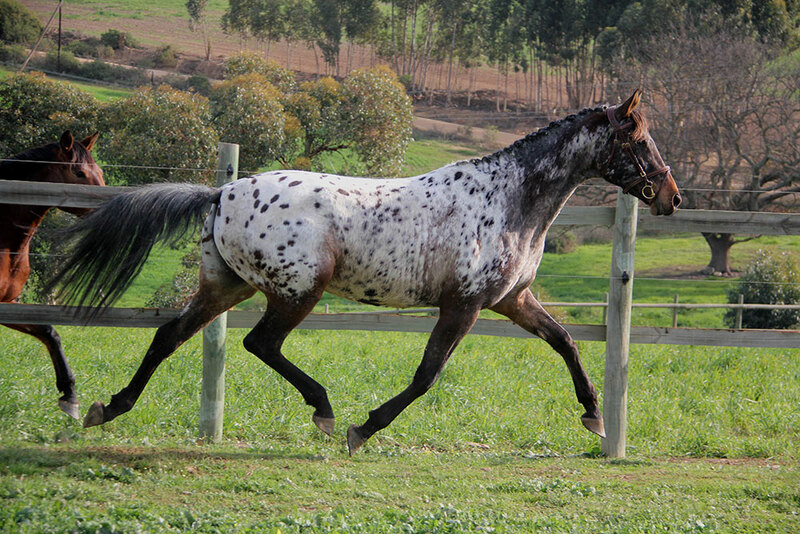 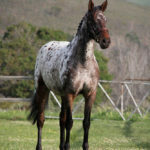 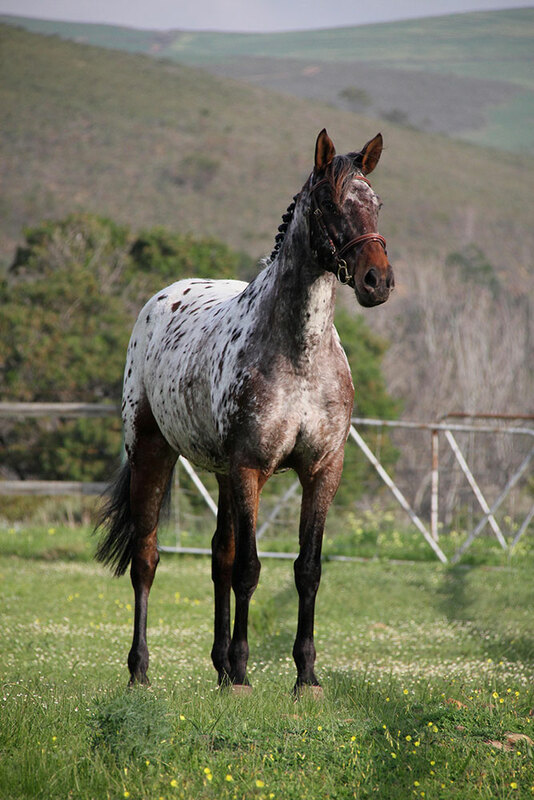 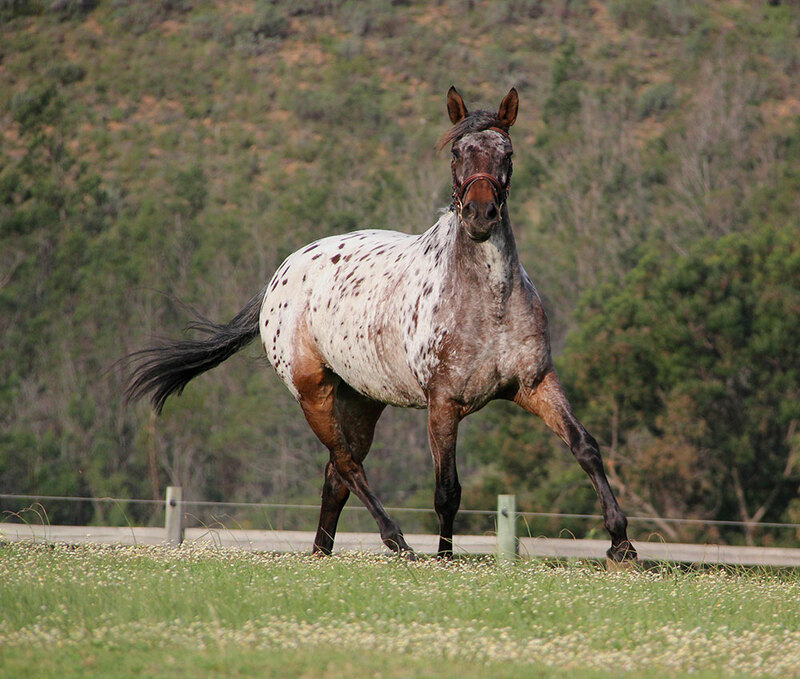 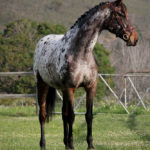 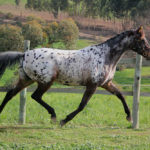 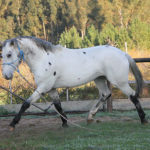 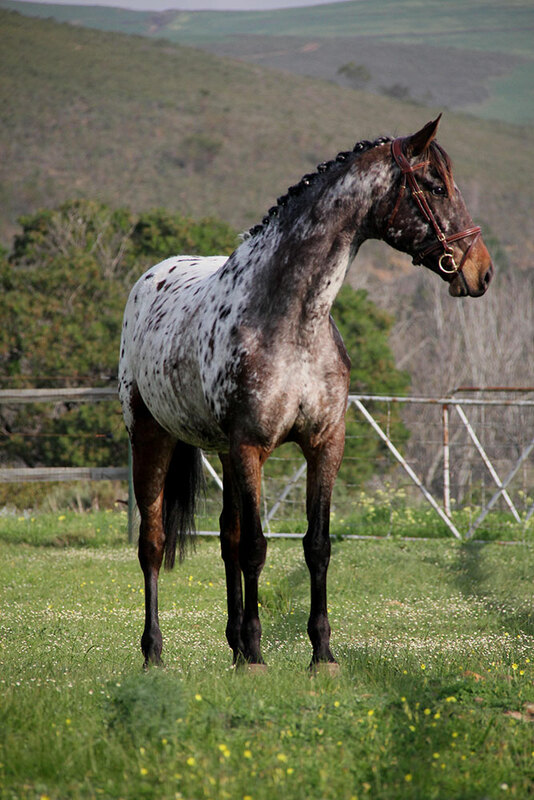 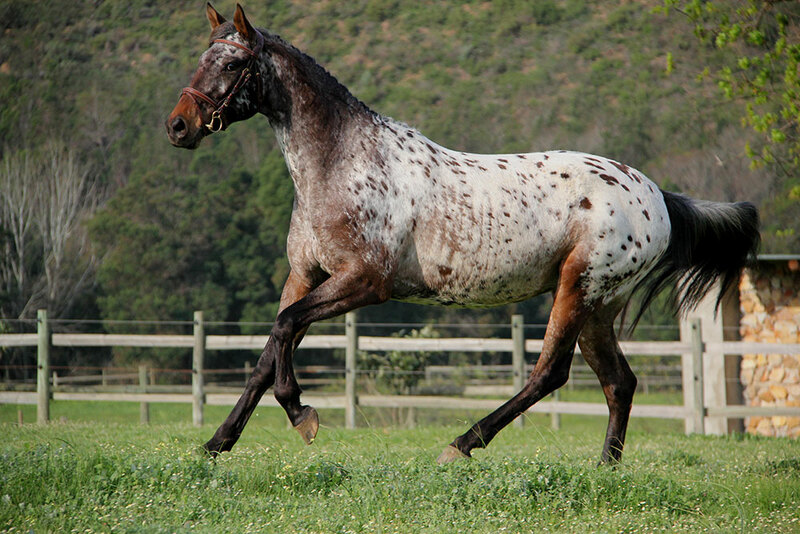 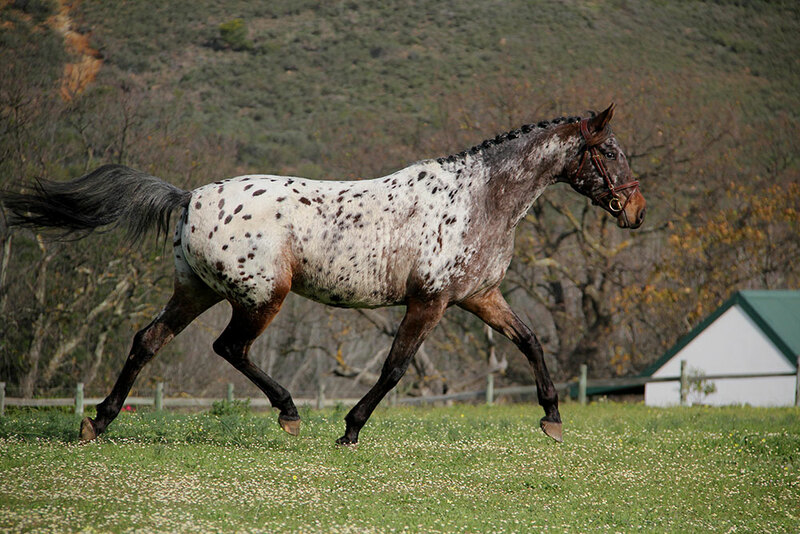 A rare find for any individual in South Africa and not to mention for a purebred appaloosa. 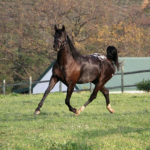 These tests include rigorous dressage, jumping and endurance courses with full vet examination. 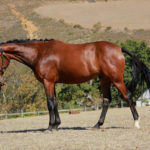 As a 2 year old she already proved herself worthy as a athletic type placing in the top two for movement in a warmblood based show, organized by the South African Warmblood Society, judges by two international judges one being Riek van den Miert. 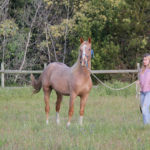 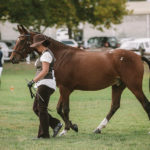 Time to Shine is a sensitive mare whom is easy to work with and connects very well. 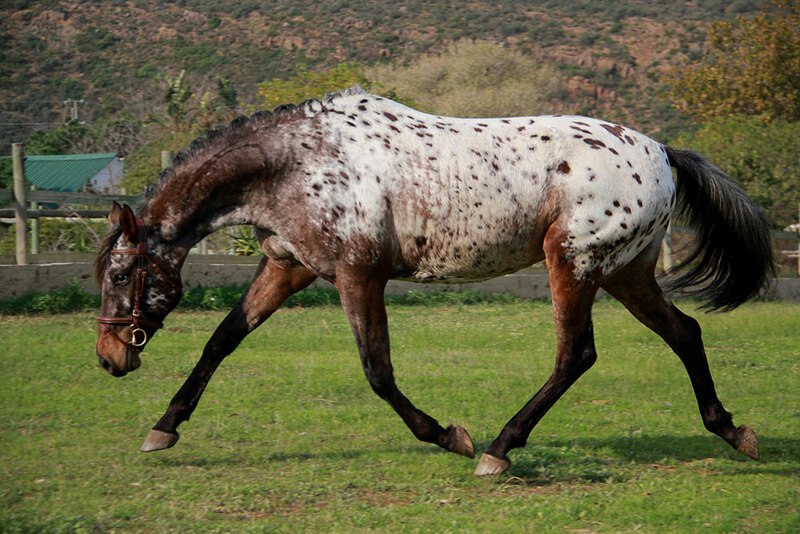 She is eager to please and feels good when she does. 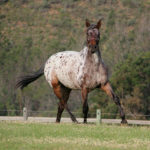 Very correct limbs and moves very big. 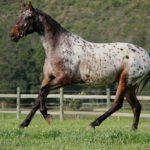 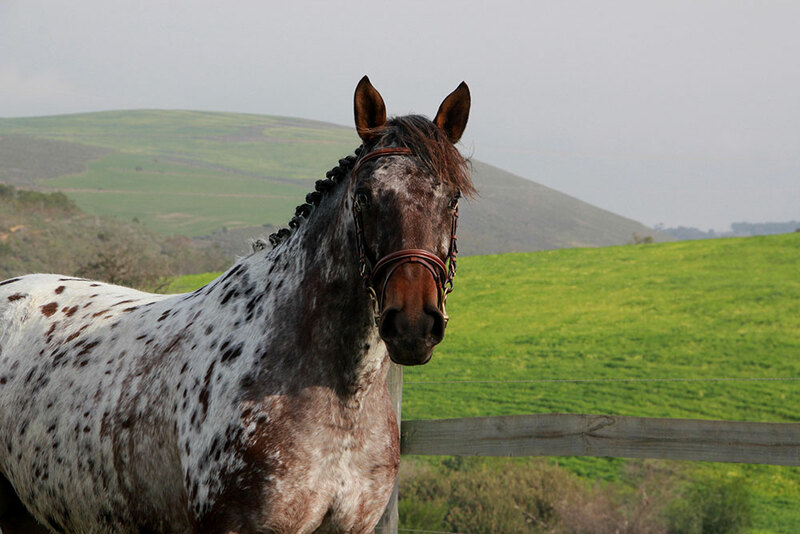 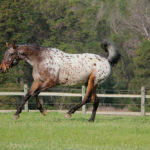 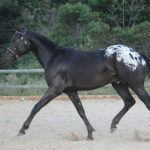 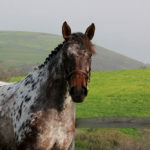 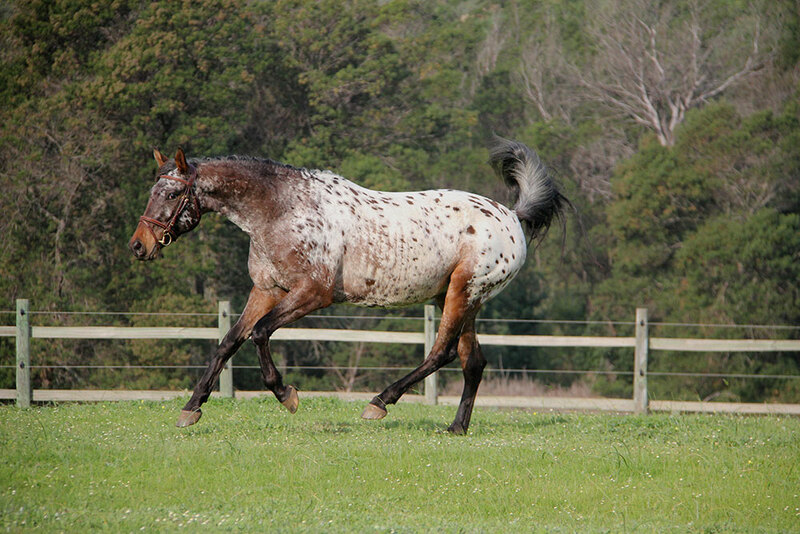 Totem Fantastic Wap (Imp Belg); A bold 16.31/2hand leopard appaloosa stallion with some of the best European (Amazing Blue) and USA blood (Wap Spot II) known for elegance and their athletic type. 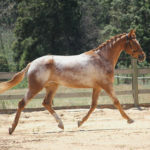 Bluegum Mirror Image; A tall 16.2hand bright bay with loud white markings and blanket. 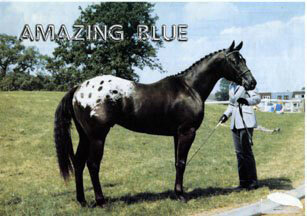 She was a consistent producer of high quality offspring. 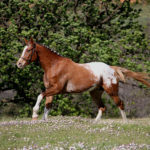 A direct mare by Hemaroed Quadroon, well known for his jumping and dressage ability. 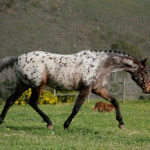 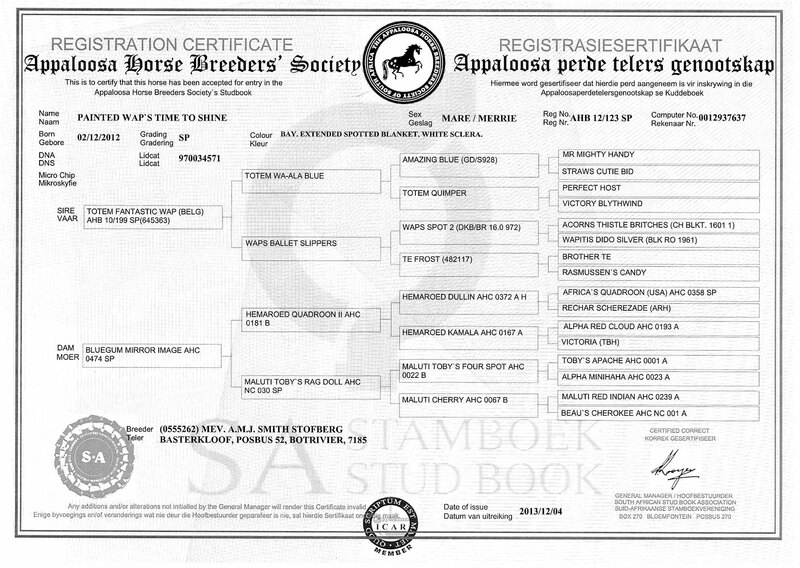 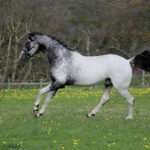 Painted Time to Shine has not been used in our breeding program since we find it difficult to find a stallion in South Africa whom can contribute or preserve her quality, but at the same time add genetic diversity. 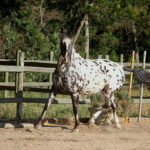 She is thus open and is being worked on a daily basis.